SINGER 7463 disappoints me. You will be better of considering some other model like the 7258. 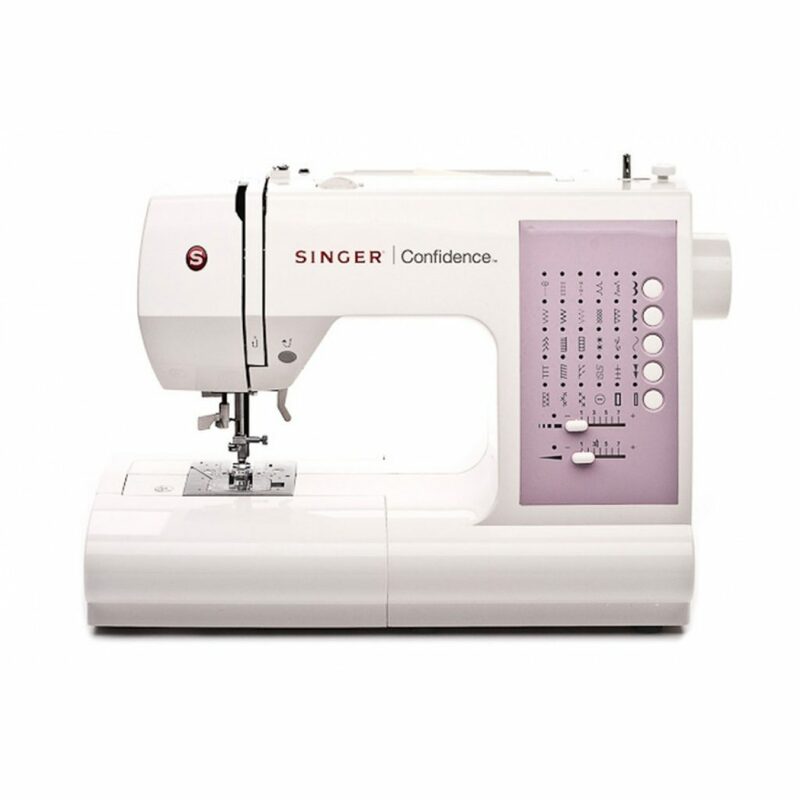 SINGER 7463 is an entry level sewing machine. It is a machine designed with beginners in mind (not really to be honest). It has 30 built-in stitches which include two 1-step buttonholes, decorative stitches, hand-look quilt stitch and construction stitches. Each stitch can be selected using the one touch button. The stitch length and width for each stitch selection is pre-programmed with manual editing option. Separate sliders are provided for stitch width and length adjustment. Stitch width can be set to a maximum of 7mm. It has 13 needle positions as well. SINGER 7463 comes with auto tension which ensures stable stitch quality with any kind of fabric. It has an automatic needle threader to save eye strain. The bobbin is top drop-in. It also has 2 stay bright long lasting LED bulbs to illuminate the work space. Reverse and reinforce stitching can be done using the automatic reverse button. The center zigzag taper makes the stitch taper to the center, not left or right, thereby giving a clean look. A manual thread cutter is also provided. SINGER 7463 needle stops in the up position, which makes it easy to move the fabrics. This machine can sew at a speed of 750 stitches/minute. The speed is not great but it is not bad in the class. It also features an extra-high presser foot lifter which is useful while sewing multiple layers of fabric. It is free arm capable as well. When I went through the features of SINGER 7463, it really impressed me. It is a beautiful looking machine. What I was not impressed with, was the usability of this machine. This machine needs improvement in a lot of areas. The stitches are consistently inconsistent. The auto tension is not that great. I ran into a lot of problems with this machine. The straight stitches are manageable though. The automatic needle threader is another frustration. If I recommend SINGER 7463 to you, it will be cheating myself. It is not a great sewing machine. You might get away with it, if you are really lucky, but I won’t recommend it. The price is also on the higher side. I know what it takes to make few dollars, please don’t waste your money on a machine that doesn’t really live up to the expectations. You will be better of going with other models from Singer. Two alternative machines I can suggest are the Singer 7258 and Brother Laura Ashley limited edition version. Singer 7258 won the Women’s Choice Award for the best home sewing machine. Laura Ashley is a high quality sewing machine and has better features than Singer 7258.